SLPP Re-New is a fast growing Bio Energy EPC Company providing one stop solution for waste to energy projects, advanced Gas based & Co-generation, Tri-generation and Power Generation and biogas to Bio CNG up gradation Systems in India. SLPP Re-New deliver cutting edge technology and holistic solutions for Natural gas /Biogas / Sewage gas/Landfill Gas/Coal Bed Methane based power plants and Bio CNG systems. Fully equipped to provide end to end products and services, it offers range of products and services using innovatively engineered technology for small & big scale plants. The company is specialist in Biogas power & Bio CNG systems to deliver only the best solutions and services to the customers, company have partnered with leading companies to provide products of world-class quality and lasting reliability at an affordable cost. 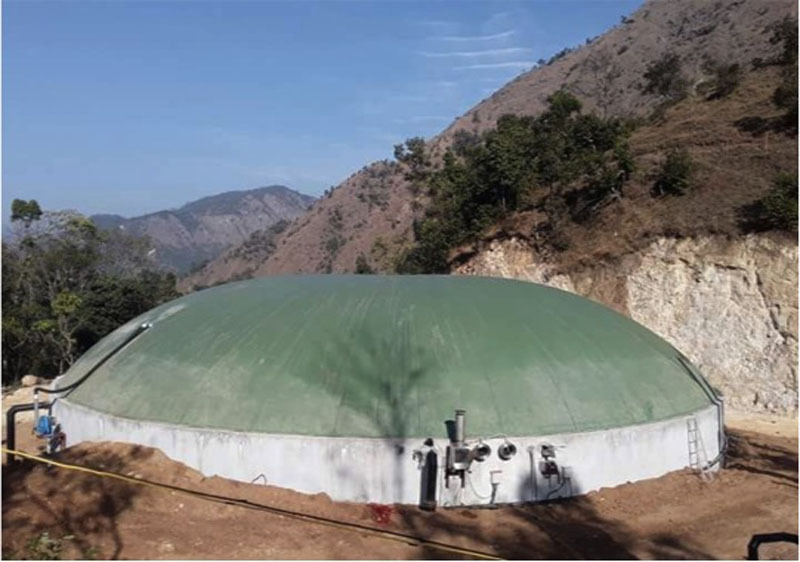 SLPP Re-New is the sole partner for the complete range of Biogas generation, Biogas Power plant & Biogas to Bio CNG upgrading systems in India. We Take up Complete operation and maintenance of Biogas Power/ Bio CNG Plant, In addition, the SLPP Re-New team are able to audit the biogas plant, we has a technical team specialized in providing technical assistance and full operation and maintenance of the Biogas Power Plants, Biogas to bio CNG Upgradation system, Biomass collection storage system, Bio CNG Sales, Bio Fertilizer sales. We monitor various parameters in samples from biogas collected for better matching the services of operation in order to improve the performance of extraction and upgrading of biogas equipment. When necessary, we carry out detailed analyzes of specific parameters through accredited laboratories. The technical assistance services include all works related to performance of the biogas field of biogas plants for energy recovery. The operation and maintenance services include all activities, jobs and duties which are necessary to achieve the objectives set by the client, including the provision of operating personnel, the use of products, analysis and control of different steps, preventive and curative maintenance, among others with long term contracts. The vast experience accumulated in the operation and maintenance of Biogas power/ Bio CNG plants, the permanent availability of technicians and spare parts, or even the ability to daily operate on the field, in the case of biogas recovery plants, are factors that allow us ensure responding to any service request in a short time and with high levels of plant availability.